Despite being 'morally in the right', four train companies that had started legal action against the government over the botched Great Western rail franchise have dropped their £40m lawsuit. Arriva, FirstGroup, National Express and Stagecoach, have dropped their lawsuit against the government. They were attempting to recover the cost of their bids but have suddenly dropped their case. It’s all very mysterious, and we can only imagine that the DfT’s ‘response’ was one of the most persuasive things ever written, because these train companies were extremely unhappy when it all first kicked off. 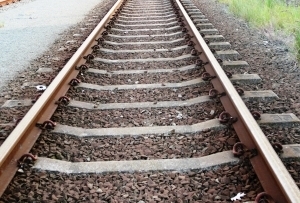 Perhaps they’ve given in because Transport Secretary Patrick McLoughlin announced earlier this week that the government is granting extensions on the contracts for 12 rail franchises. And they slept on it for a couple of days. To learn more about exactly how the franchise bidding process was botched, click here for MT’s previous coverage.